Can I still hike on Table Mountain when the cable car is closed? For visitors to Cape Town between the 27th July and the 9th August it is worth noting that the cable car to the plateau of Table Mountain is closed for annual maintenance over this time. But of course this doesn’t mean you can’t still get up there. 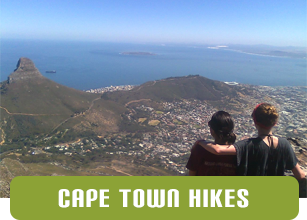 There are numerous hikes up Table Mountain. The quickest route takes a moderately fit person an hour and a half to ascend and then having spent a good 30 minutes enjoying the views from the top, another hour to descend. So you do need a minimum of 3 hours if you consider yourself pretty fit, and a bit longer if you are not so super fit. Any route you choose will include a good cardiovascular work out on the way up and put some strain on the knees coming down. But they are all so worth it. The views from Table Mountain are quite wonderful, and by hiking up the mountain you really do appreciate the mountain as a mountain not just another viewpoint. It is a lot bigger up there than many people realise so at any time of year it is perfectly possible to hike up and see no other groups at all during the day. 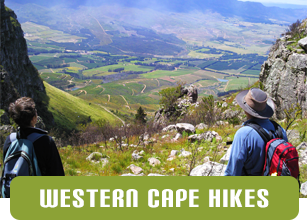 So give Ridgway Ramblers a call and come for a hike up Table Mountain. 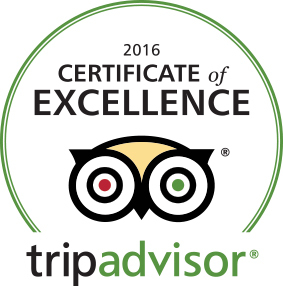 It will be the highlight of your trip to Cape Town.